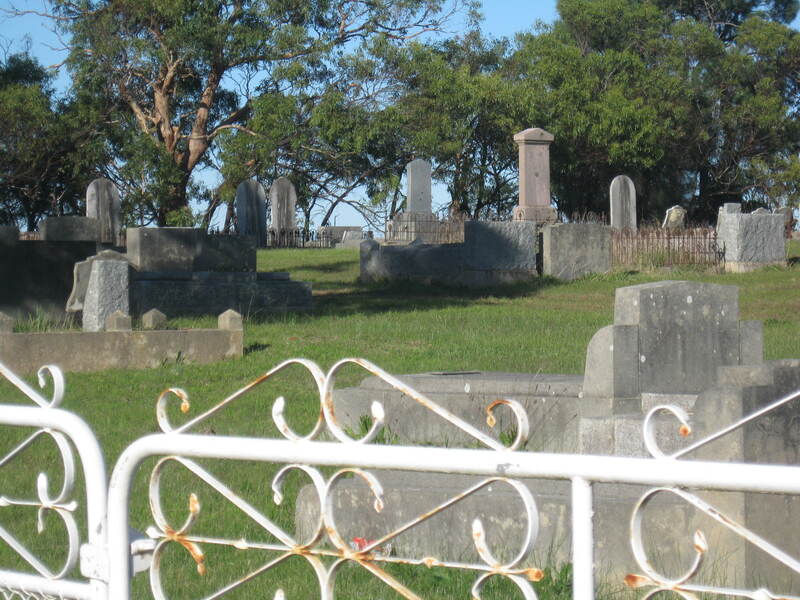 I enjoy a trip to the Byaduk Cemetery. 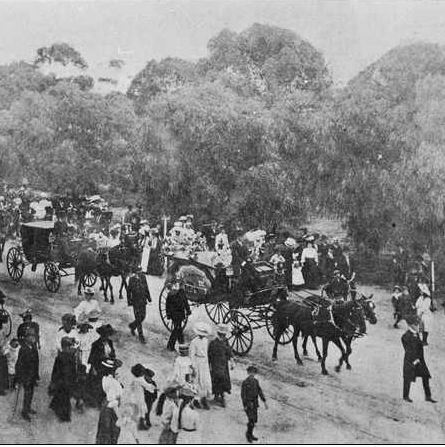 When I turn off the Hamilton-Port Fairy Road and drive up the hill on not much more than a track, I can sense the ghosts of my ancestors around me, walking or driving a buggy up the hill following a horse-drawn hearse to the cemetery. It is like stepping back in time. There are over 250 burials, in the cemetery and I will share photos of a small sample of headstones, including some of my family. 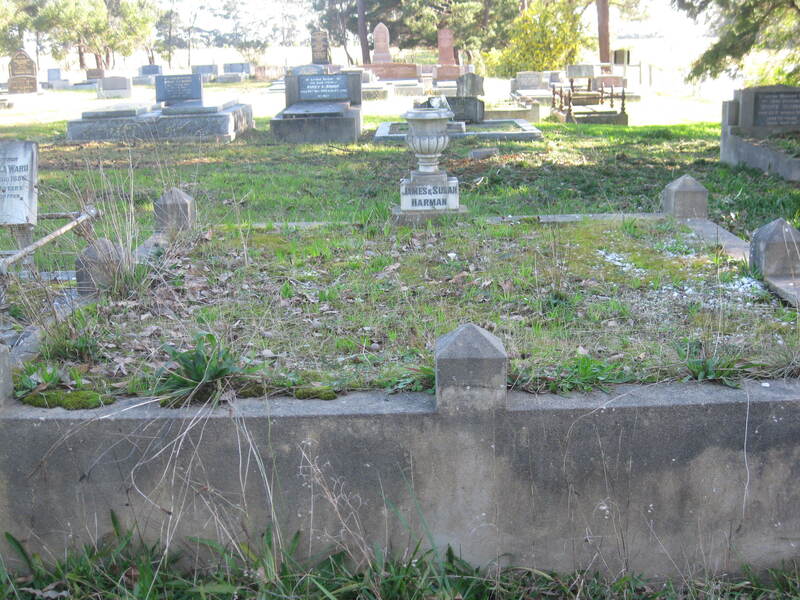 There are also unmarked graves, such as that of my 4 x great grandparents Joseph and Sarah Harman. 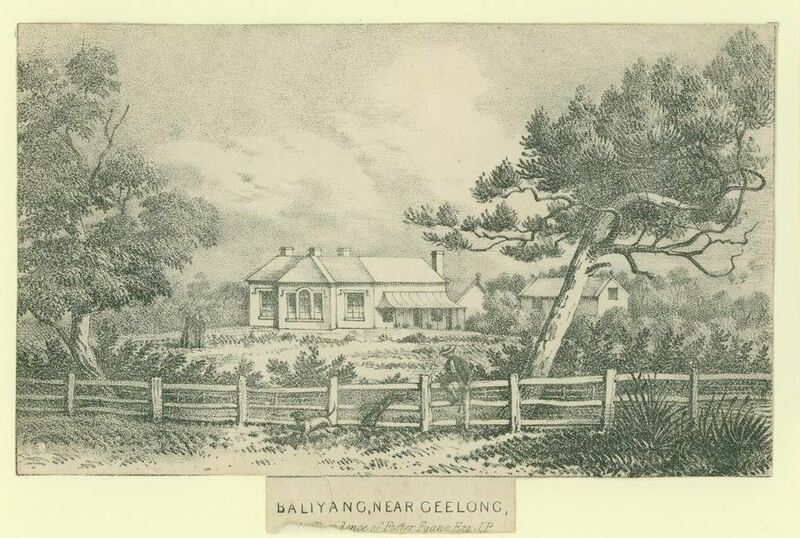 Scottish brothers, Colin, Duncan and James Fraser called Byaduk home and became respected residents. 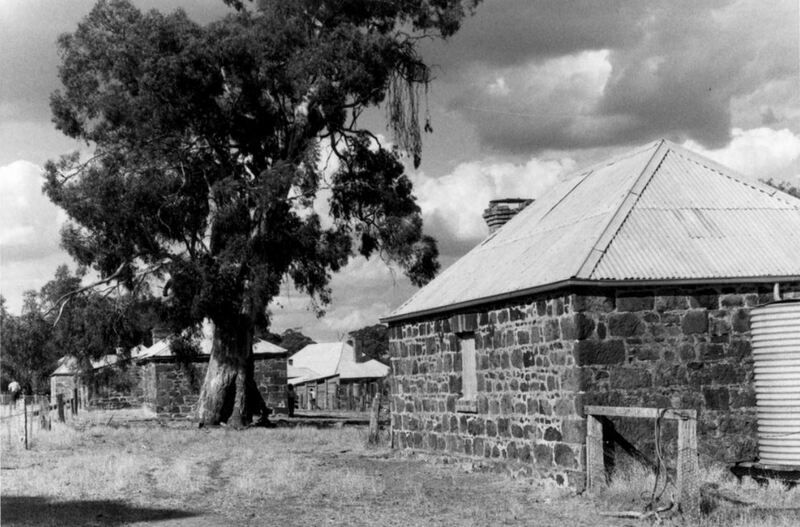 The brothers immigrated from Scotland in 1853 and went to the Ararat diggings. 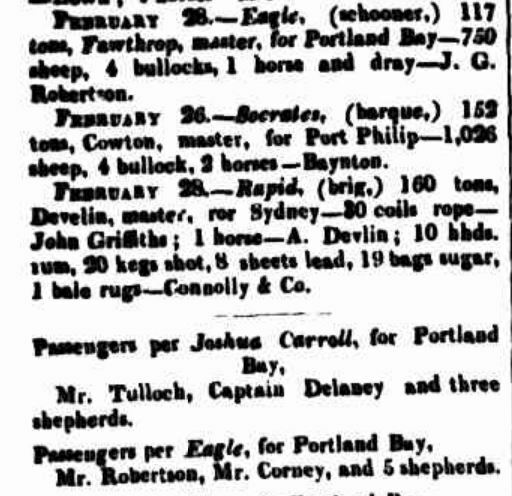 When land became available in 1861, the brothers went to Byaduk and Colin and James selected “Aird“. They all at one time lived at “Aird“. 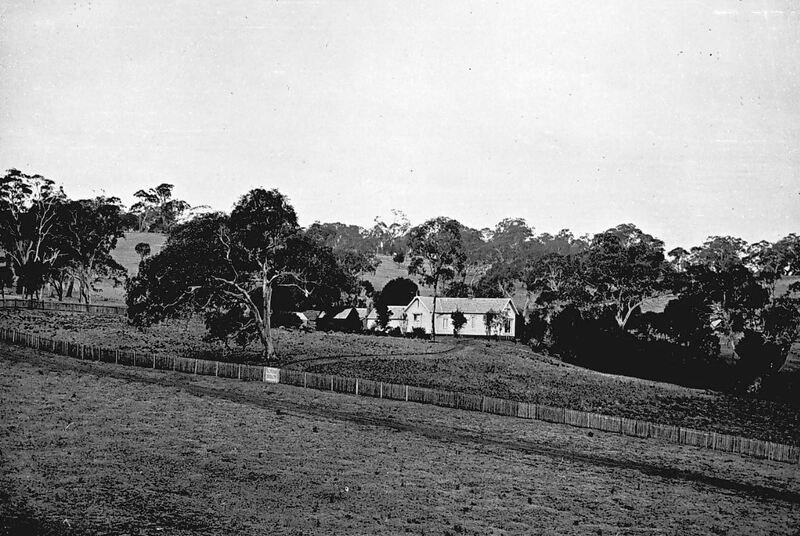 “James built a hut there but later built a home at “Lower Aird”, the adjacent property. 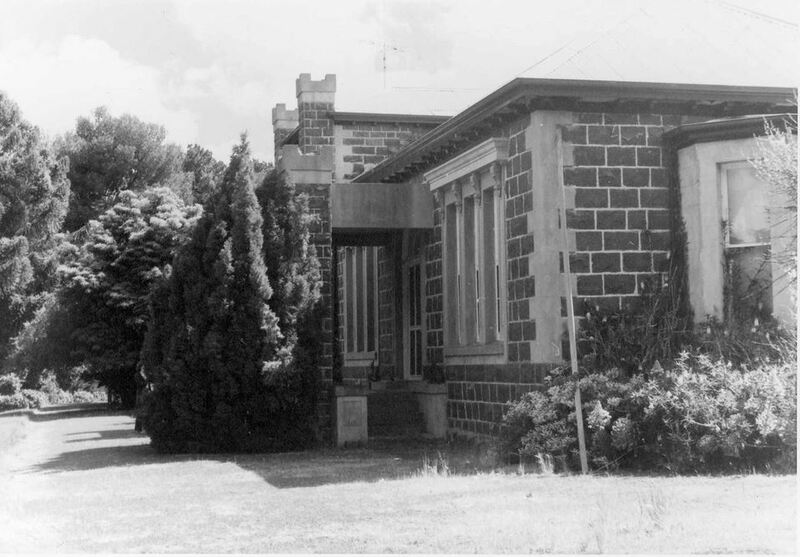 Colin built his home at “Aird” where he resided until his death. 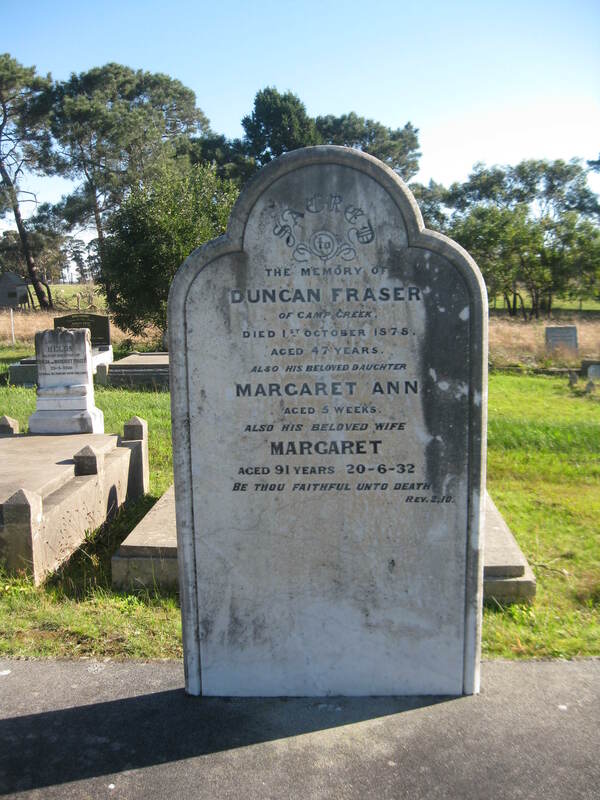 The Victorian Heritage Database has a concise history of the Frasers and information about the Aird Homestead complex and the Lower Aird Homestead complex. 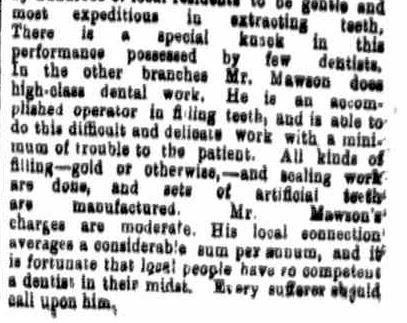 The Weekly Times ran an article about “Lower Aird” in 2009. 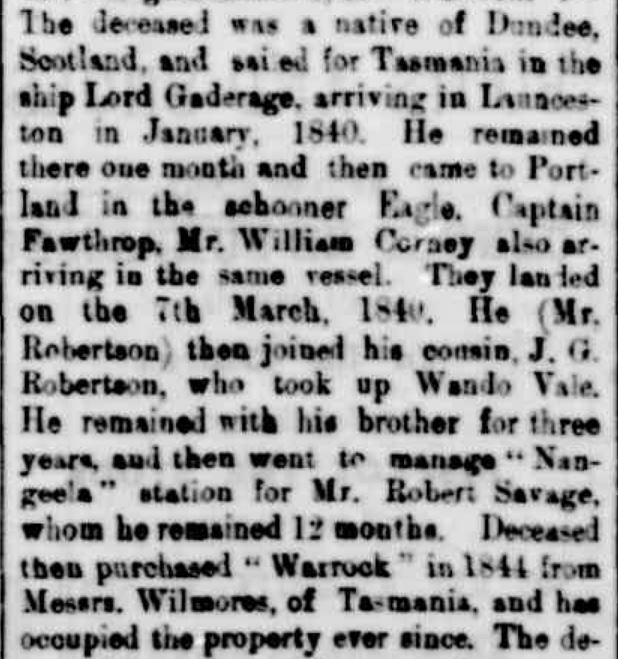 Duncan didn’t buy land initially, rather, he returned to Scotland. 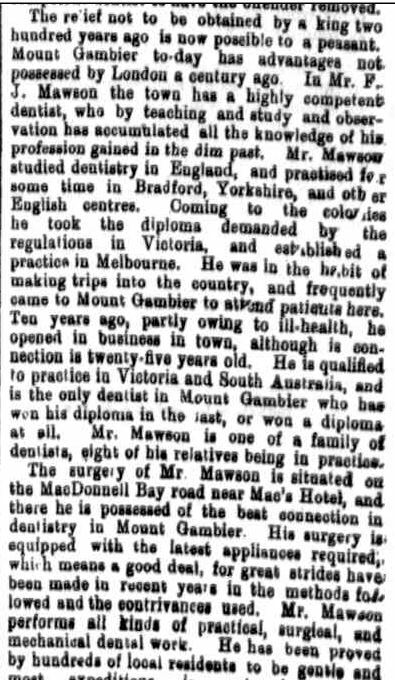 In 1871 he was back in Byaduk with his wife Margaret and four children, Simon, Helen, Donald and William and they lived at “Aird” for a time. 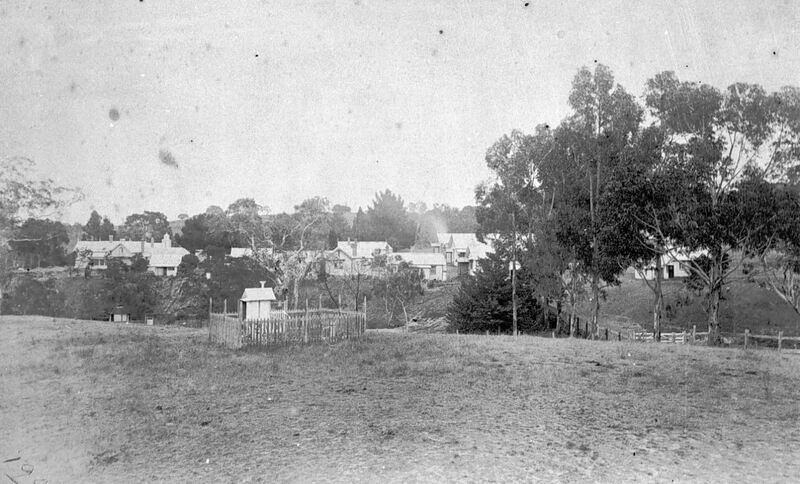 In 1873, Duncan purchased “Camp Creek” where he lived until his death in 1878 aged just 49. 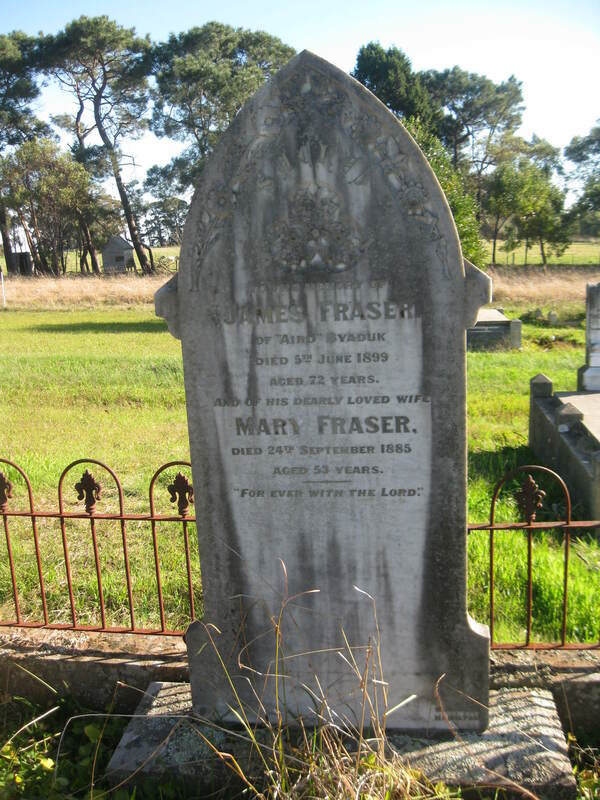 James and Mary Fraser produced a WW1 hero, 2nd Lieutenant Simon Fraser, and his bravery at the Battle of Fromelles, is commemorated at the Australian Memorial Park at Fromelles. A statue “Cobbers“, depicts Simon carrying a fellow soldier during the battle. 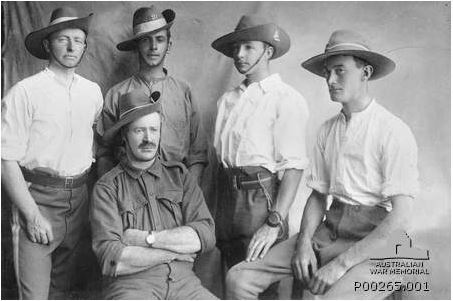 A member of the 57th Battalion, Sergeant Simon Fraser carried men from No Man’s Land. 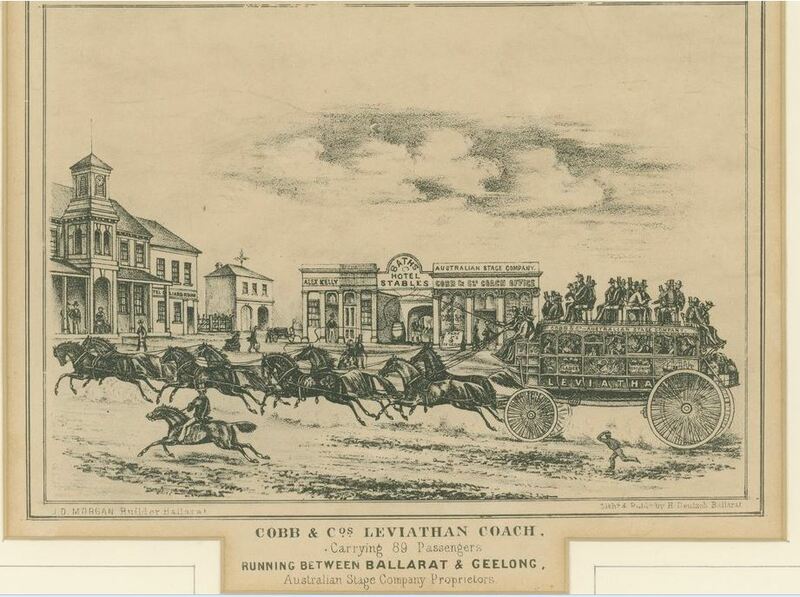 As he lifted a man on his shoulders, he heard another call out , “Don’t forget me cobber”. Simon was later promoted to 2nd Lieutenant. The following year he was killed in action. “Cobbers” has been replicated at the Shrine of Remembrance, Melbourne. 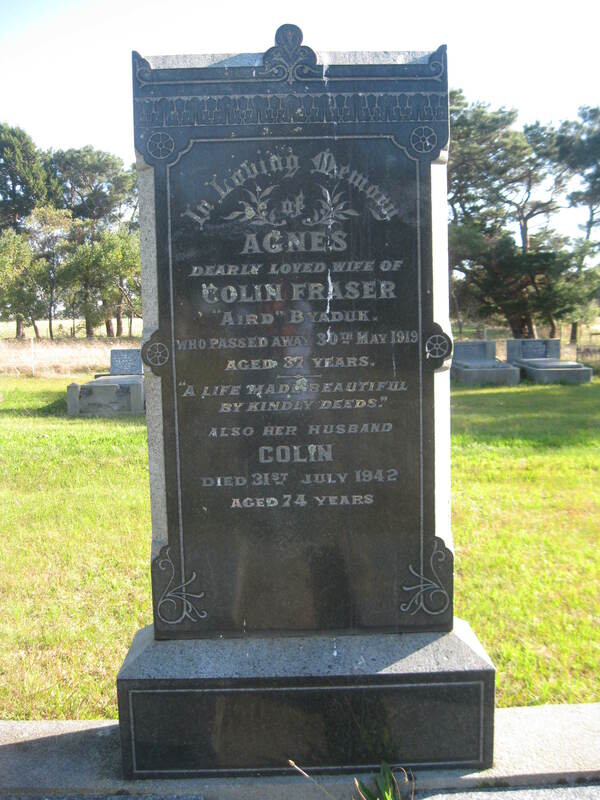 Colin and Margaret Fraser lived at “Aird” but unlike the other two brothers, they had no children. 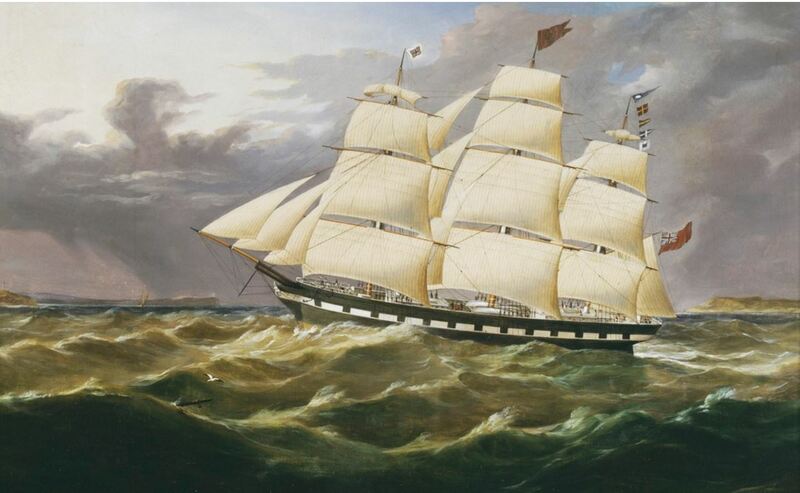 “Aird” was later purchased by another well-known Byaduk family, the Christies. 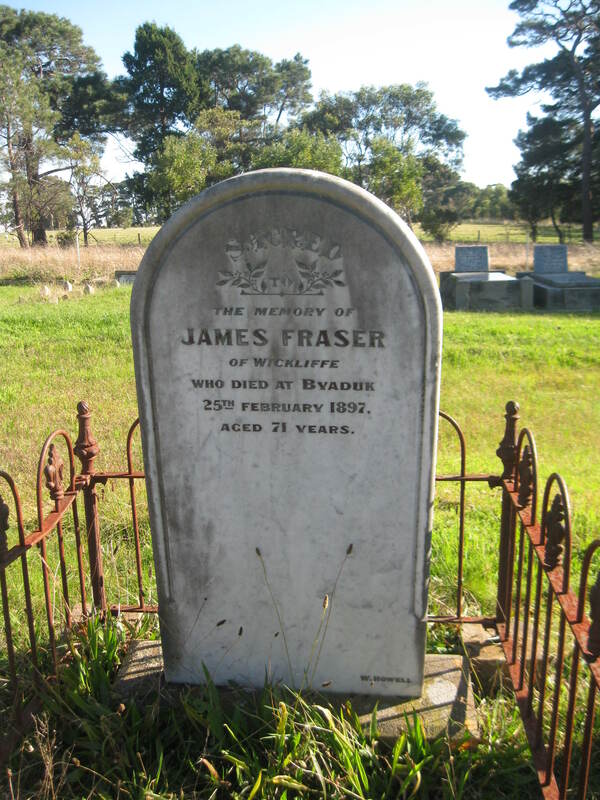 I am very thankful to James and Mary Fraser’s third son, Peter Fraser. 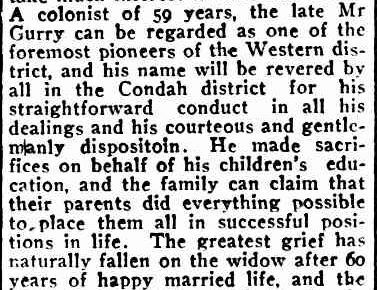 It was Peter’s writings of the Early Byaduk History in 1931, compiled from events he kept in diaries, that has given me so much information on the history of Byaduk and the families that lived there. 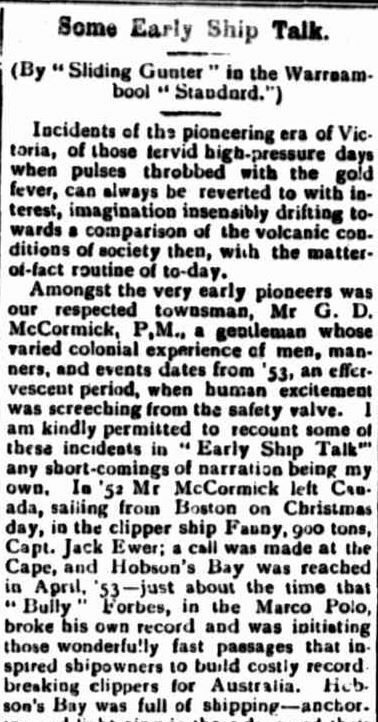 Peter did not publish his writings, but in 1994, Ian Black of Hamilton, typed them out and published a wonderful little book, Early Byaduk Settlers. It may only be only 15 pages long, but it is a star on my bookshelf and a must for anyone that has ancestors that lived at Byaduk. Peter tells the story of the Fraser brothers in great detail. 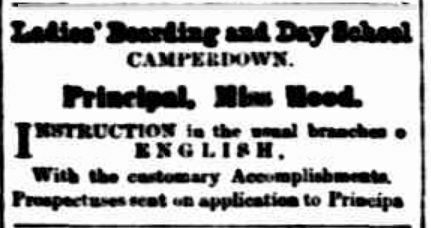 Jane Carmichael (nee Pope) came to Byaduk from Scotland later in life with two of her children, Charles and Emma. From what I can gather her husband had either died in Scotland or remained there. 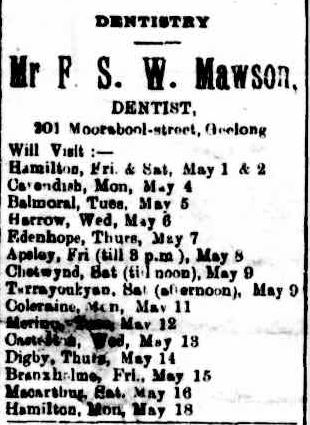 Emma Carmichael, born in Dundee, Scotland around 1859 married Albert Harman in 1907. She was 48 and Albert 39. 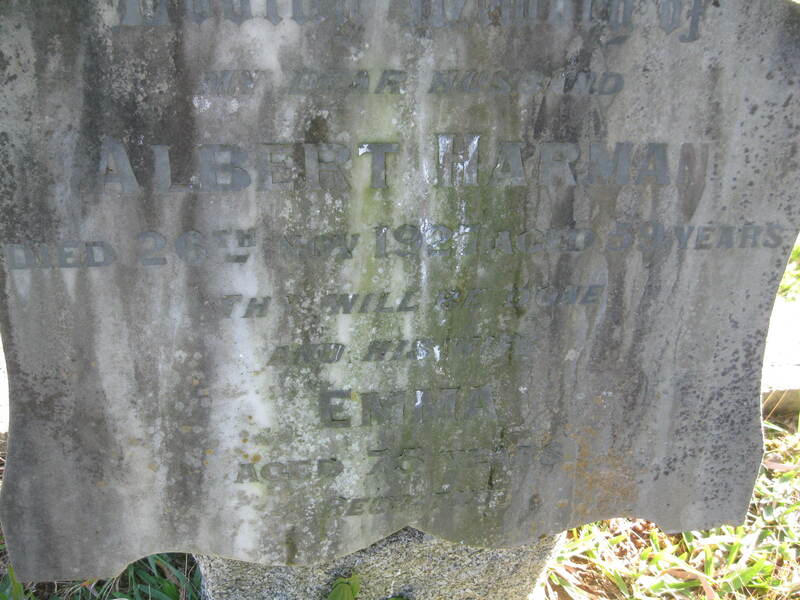 Albert was the fourth son of James and Susan Harman. 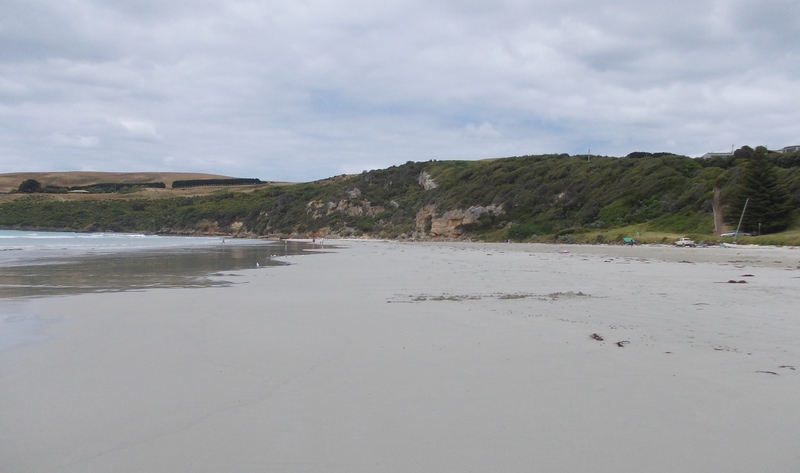 Samuel and Jane Tyers did not have any children, but other members of Samuel’s family lived in Byaduk. 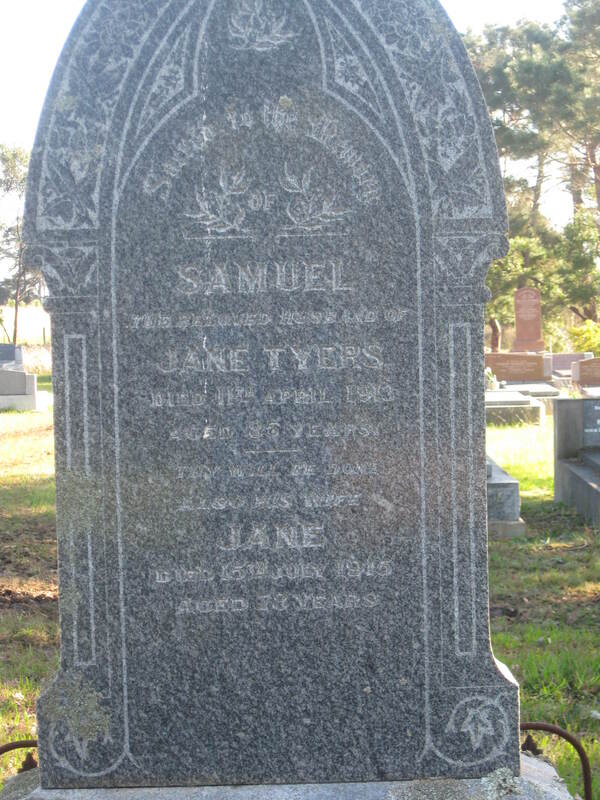 There are at least nine other Tyers family members in the Byaduk Cemetery including Samuel’s sister Jane. 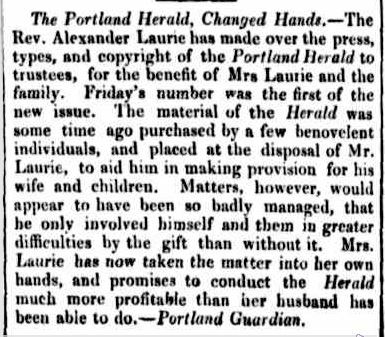 Other than Charlotte’s obituary, I could not find a lot about James and Charlotte Ward. 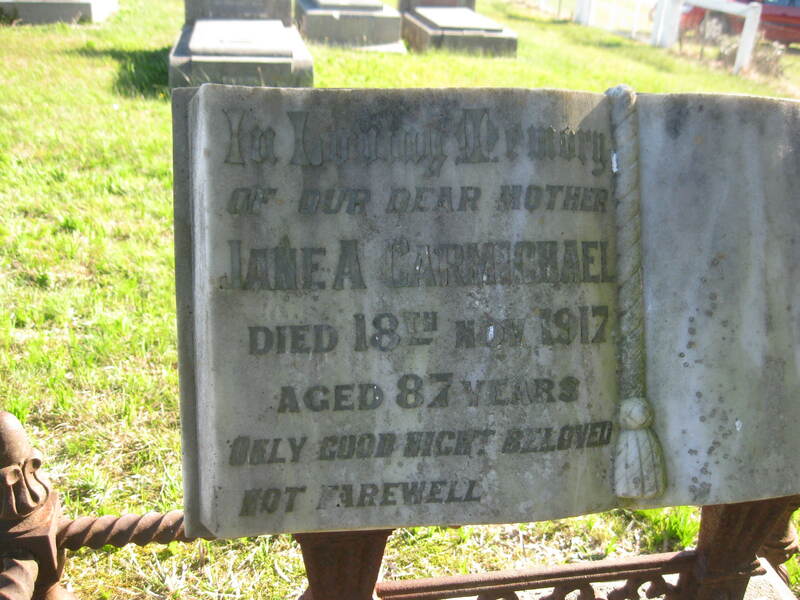 It was that obituary, however, that helped me find a link between this headstone and the one following it. 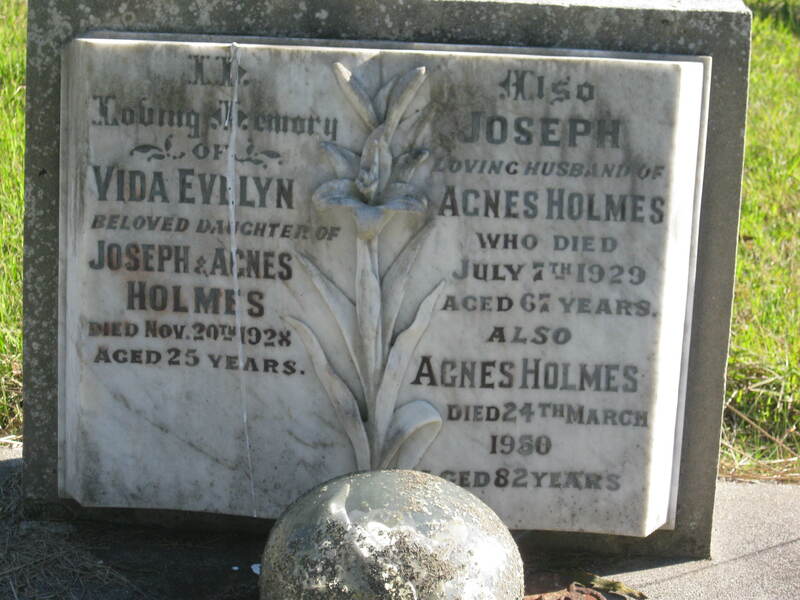 This Holmes headstone has a link to the previous one and to Samuel and Jane Tyers (above). 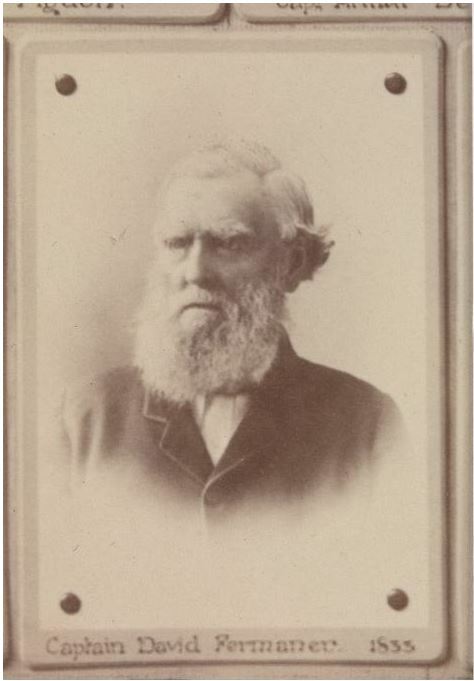 Joseph Holmes (1862-1929) was the son of George Holmes and Jane Tyers. 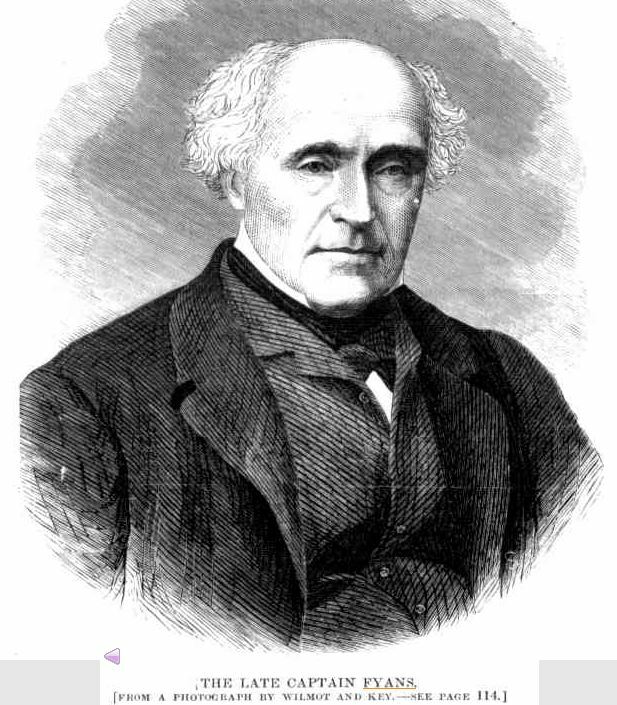 Jane was a sister of Samuel Tyers (above). Joseph married Agnes Brand. 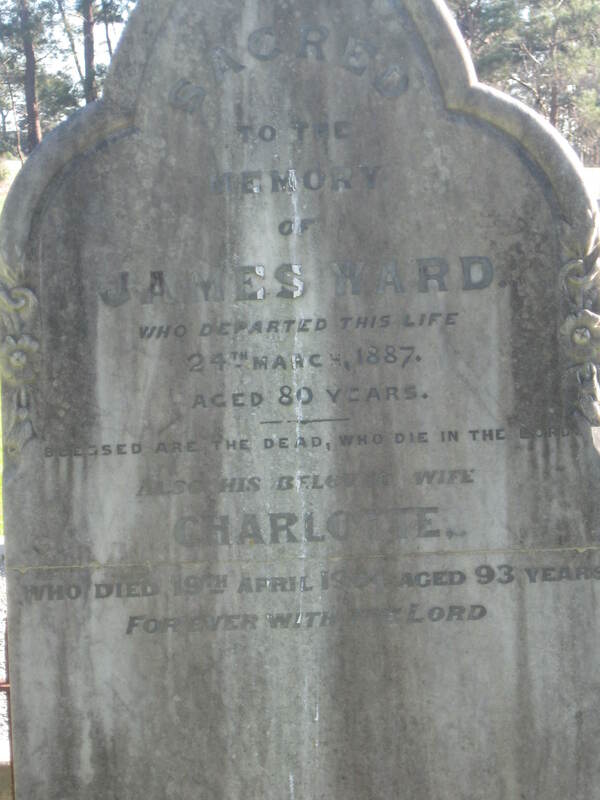 Her grandparents were James and Charlotte Ward (above). 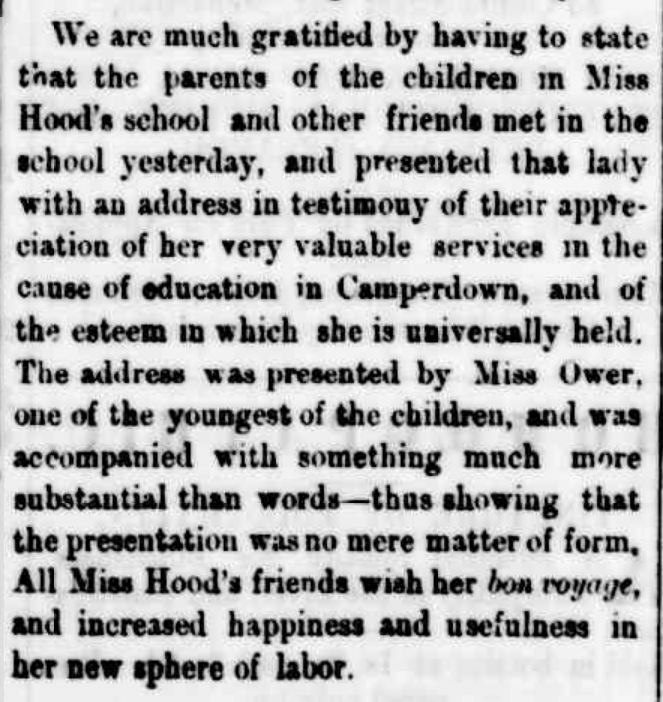 Her parents were William Brand and Agnes Ward and Charlotte’s obituary mentions her daughter “Mrs William Brand”. 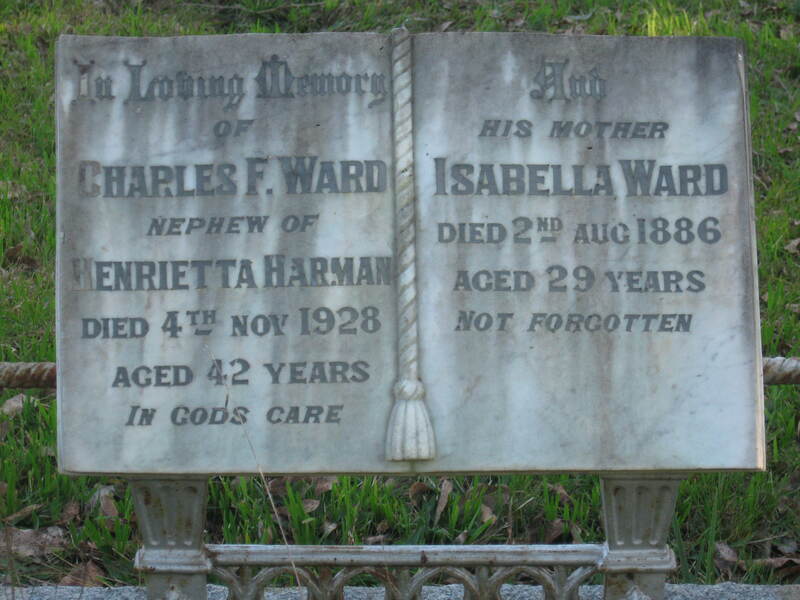 The following headstone belongs to Isabella Ward and her son Charles Ward. Isabella was Isabella Harman, daughter of James and Susan Harman. 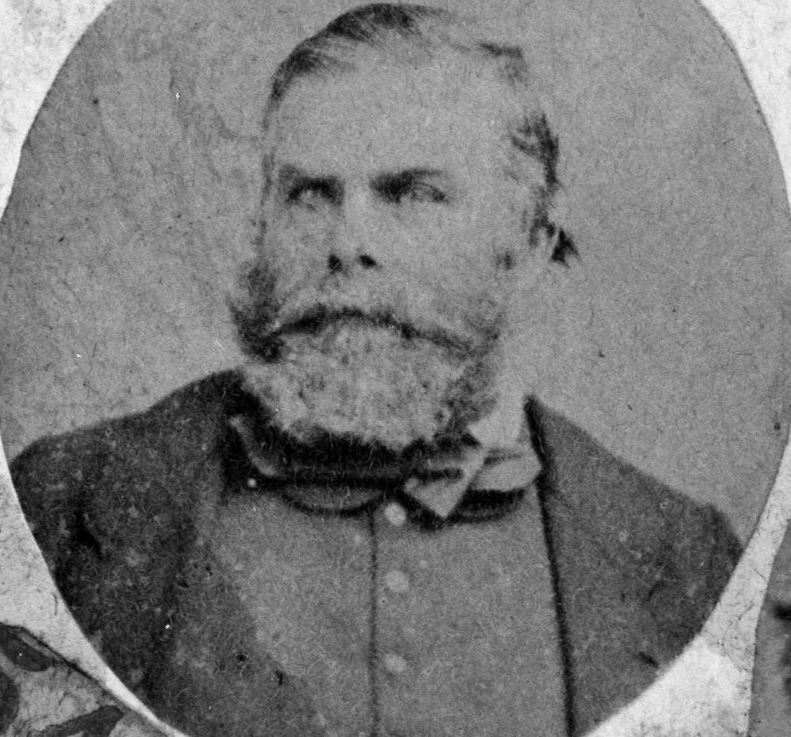 Her sister, Julia, married George Holmes, brother of Joseph Holmes (above). 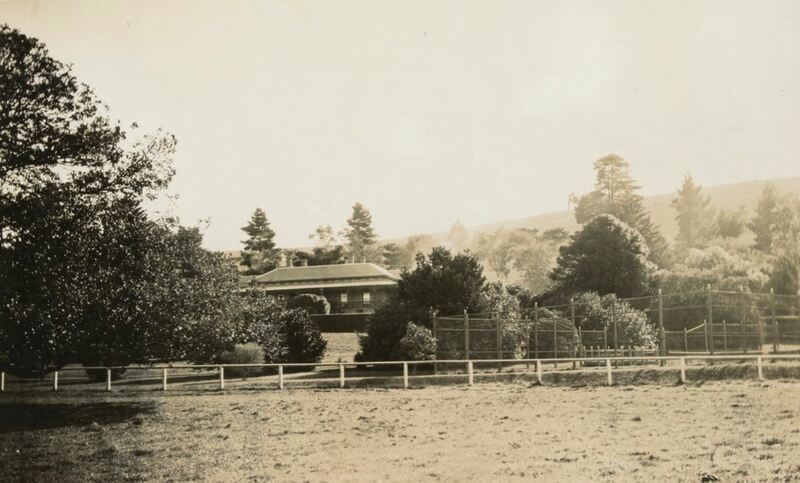 Isabella married Stephen Ward in 1885 and their son Charles Frederick Ward was born in 1886, the same year as his mother’s death, presumably as a result of the birth. I had heard from Nana that Henrietta Harman, Isabella’s unmarried sister, raised Charles. 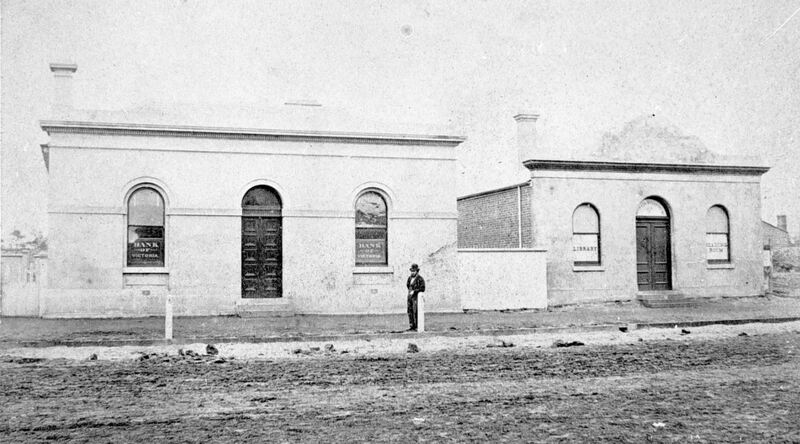 James Harman, in his will, made provision for his daughter Henrietta and grandson, Charles to stay in the house that he owned beyond his death and for as long as needed. 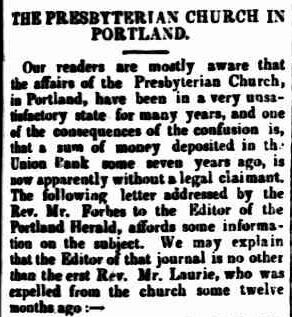 Also, after the death of Henrietta, a trust would allow for Charles’ maintenance. That was not because Auntie Henrietta outlived her much-loved nephew Charles. 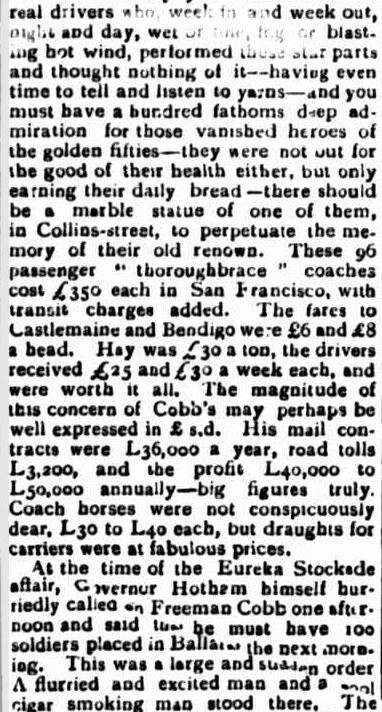 He died in 1928 at Ballarat. 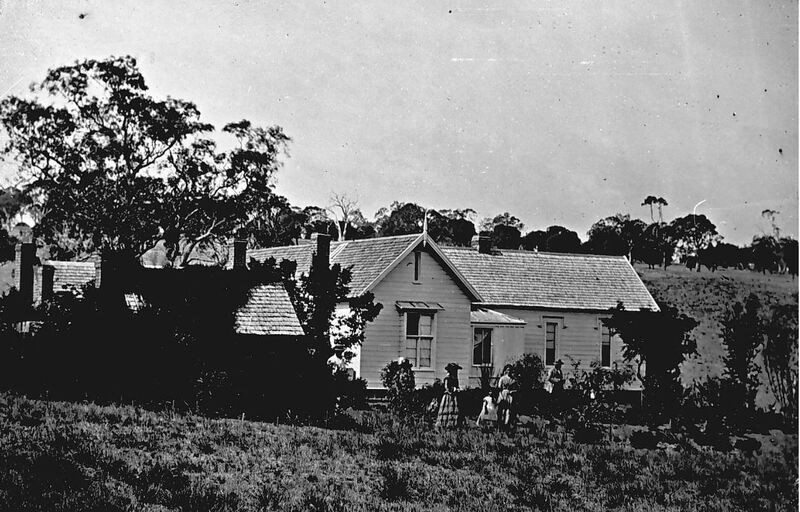 Henrietta Harman was Nana’s great-aunt and she could recall as s a child, Auntie Henrietta visiting their home. That would have been during the 1920s and 30s. 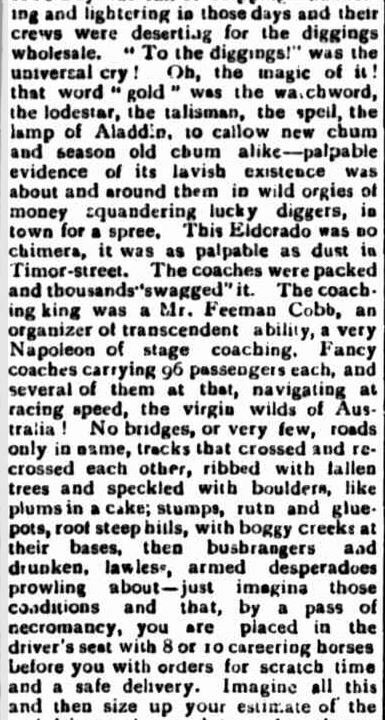 Henrietta would catch the coach from Byaduk to Hamilton. “She was a dear old thing” Nana would say. I think maybe because Nana, Linda Henrietta, was named after her great-aunt she felt a special bond. 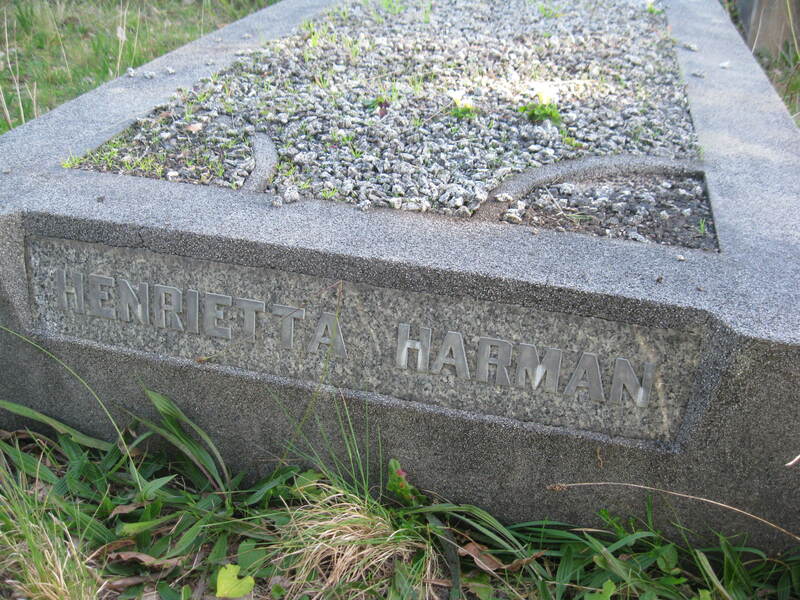 Henrietta passed away in 1952 and was buried in a simple grave at Byaduk,. 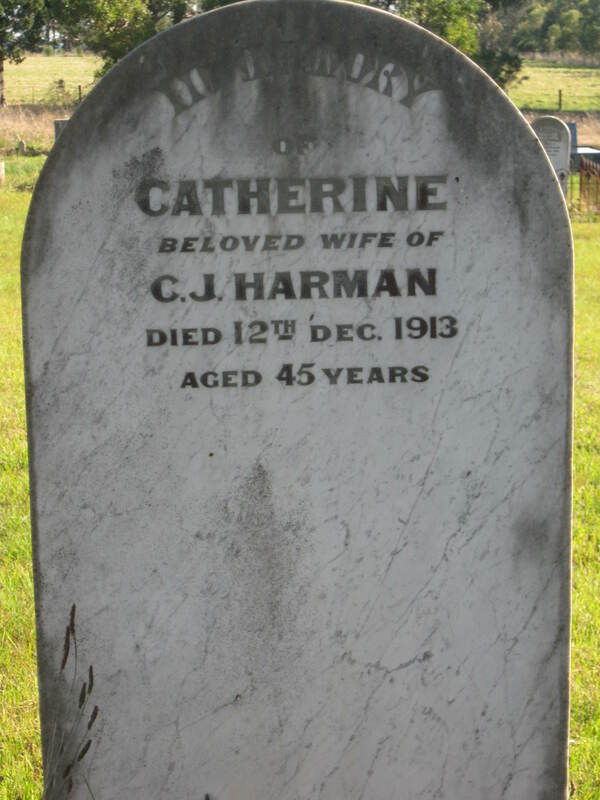 Catherine Harman was the wife of my great-great uncle Charles James Harman, son of Reuben James Harman and Elizabeth Bishop. 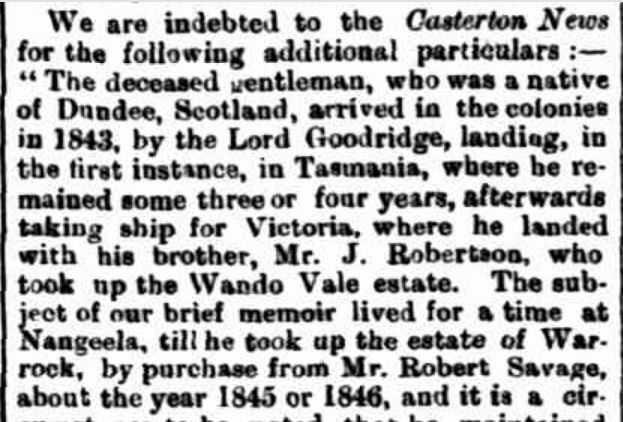 Catherine was Catherine Kinghorn, daughter of Francis Kinghorn and Elizabeth White. Born in 1868 at Byaduk, Catherine married Charles, at the age of 37, in 1905. Charles was 10 years her junior. 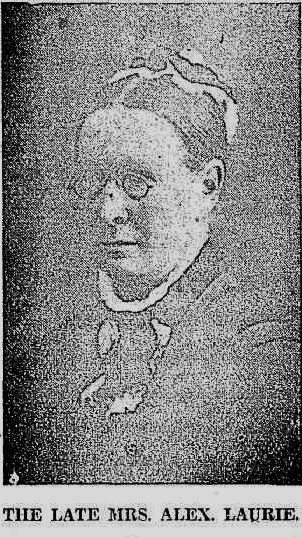 Catherine died in hospital in Melbourne in 1913. 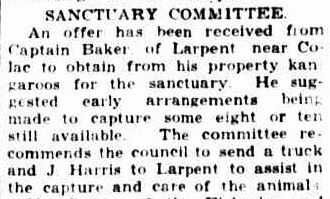 Charles enlisted in the Australian Flying Corps in 1916 and remarried in 1922 to Lavinia Raven Fisher of Middle Park. 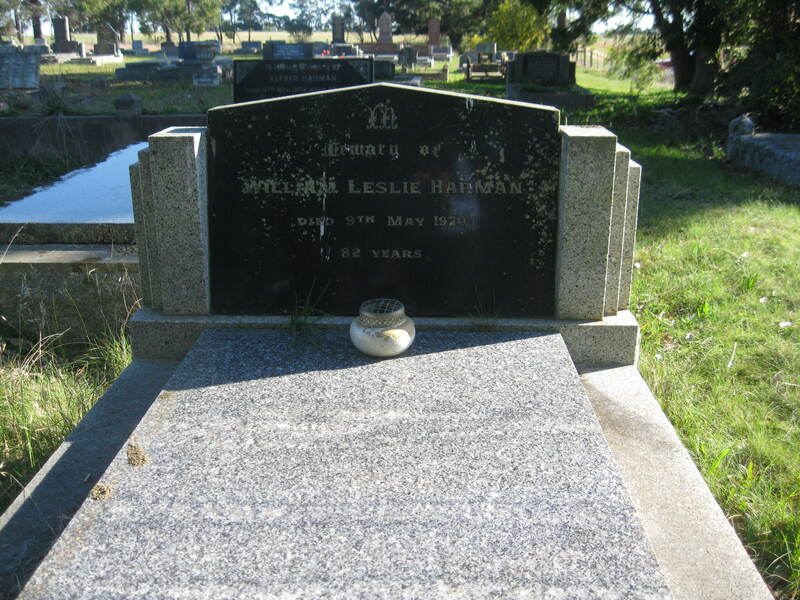 William Leslie Harman was born in 1888 at Byaduk, the third child and eldest son of Alfred Harman and Louisa Newman. 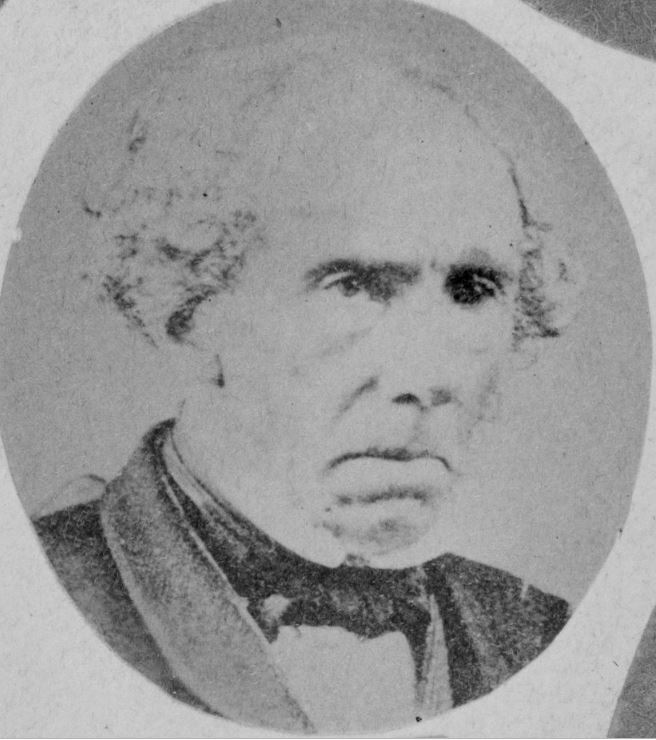 William was the grandson of James and Sarah Harman. Isabel Bunworth was Isabel Harman, the sixth daughter of Alfred and Louisa Harman and sister of William (above). 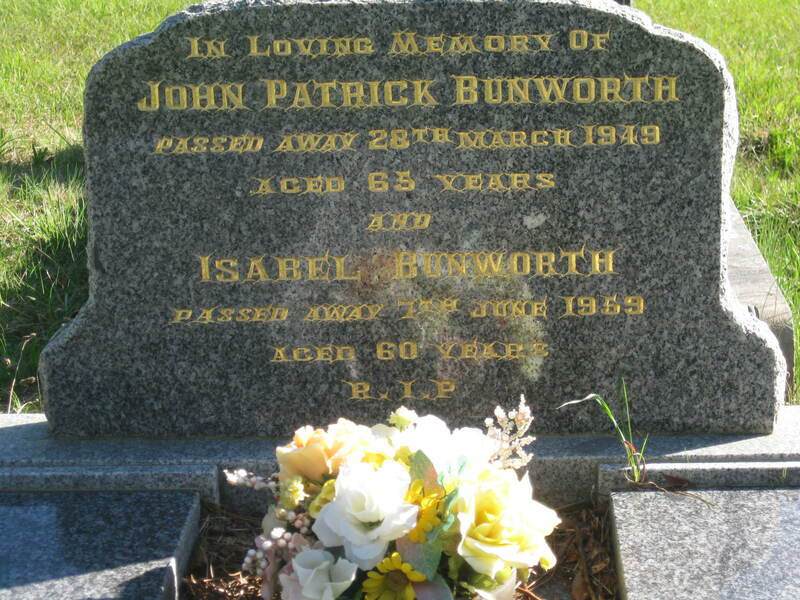 Isabel married John Bunworth of Byaduk in 1923. 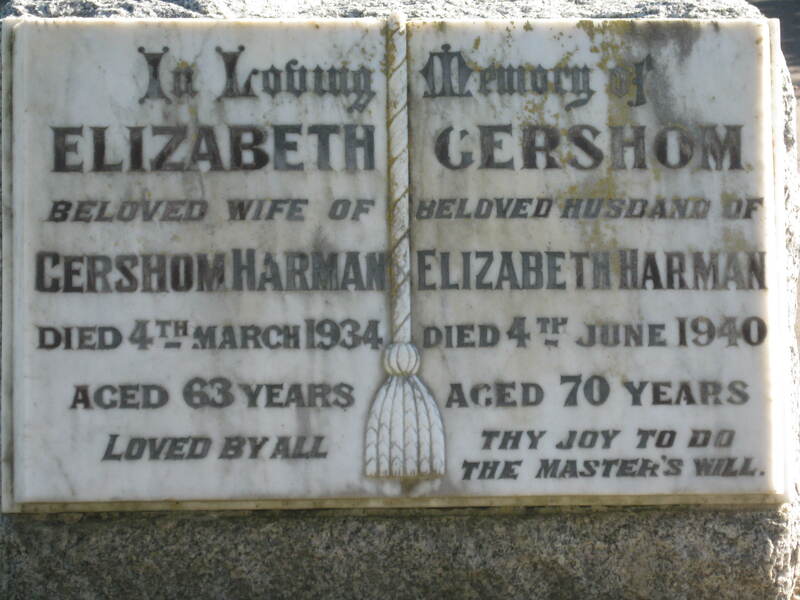 Gershom Harman (1869-1940) was the second son of Reuben Harman and Elizabeth Oliver. 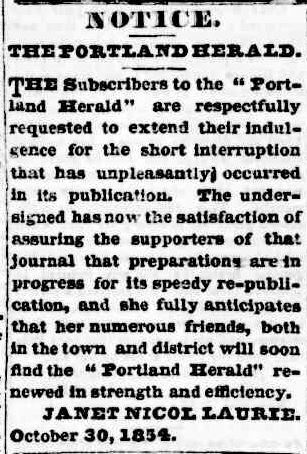 He married Elizabeth Hilliard in 1905 and they had two children, Ivy and Gordon. 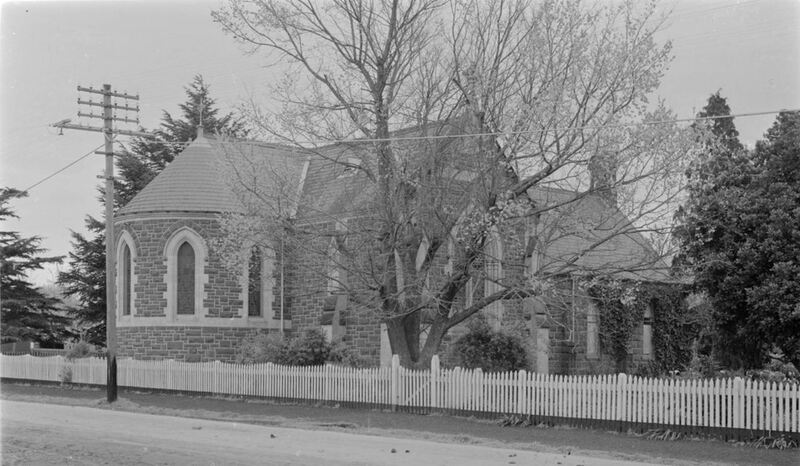 Now to the Bishops and another Harman link as my gg grandparents were Reuben James Harman and Elizabeth Bishop. 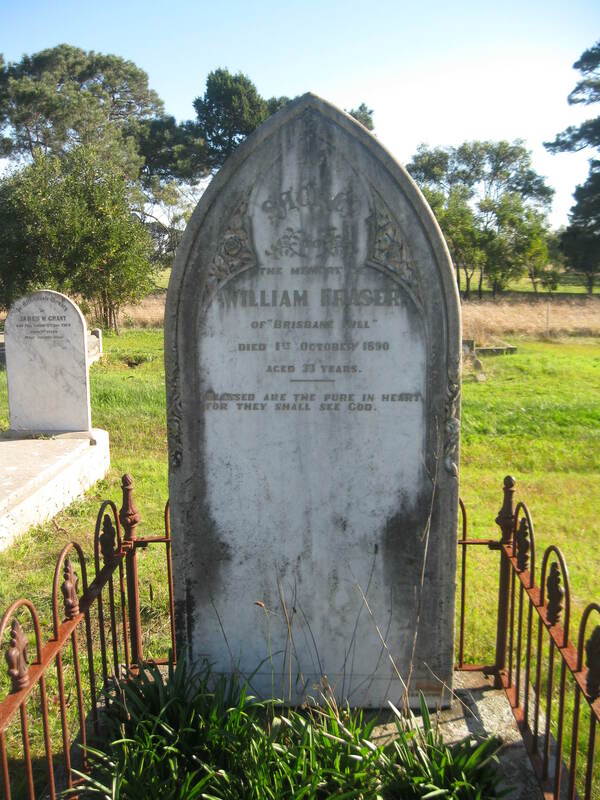 The following headstone belongs to Charles Bishop and his wife Sarah Dancer. 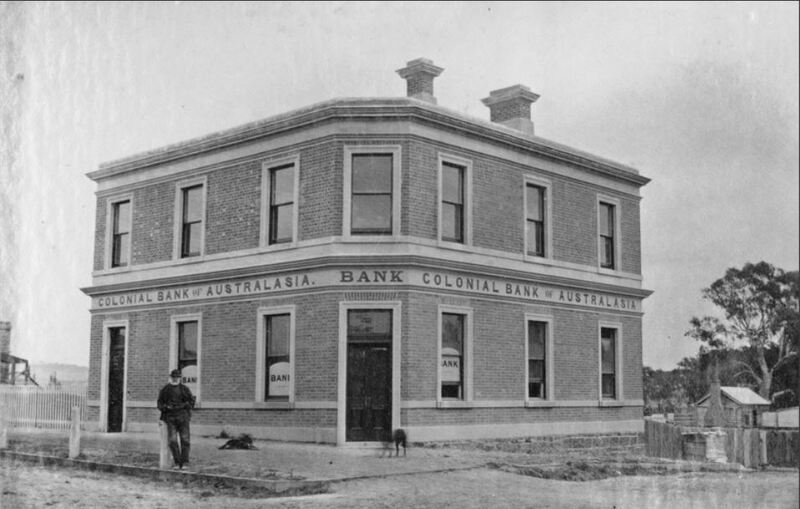 Charles (1856-1916) was the eldest son of James Bishop and Sarah Hughes. 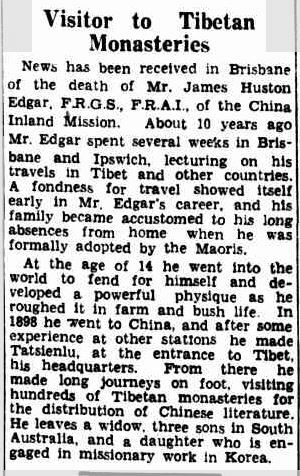 He was the brother of Elizabeth Bishop. 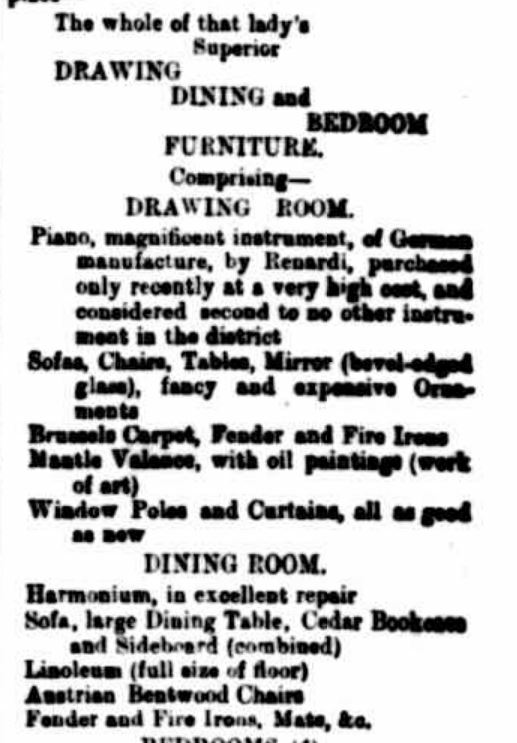 Charles married Sarah Dancer in 1884 and they had 11 children. 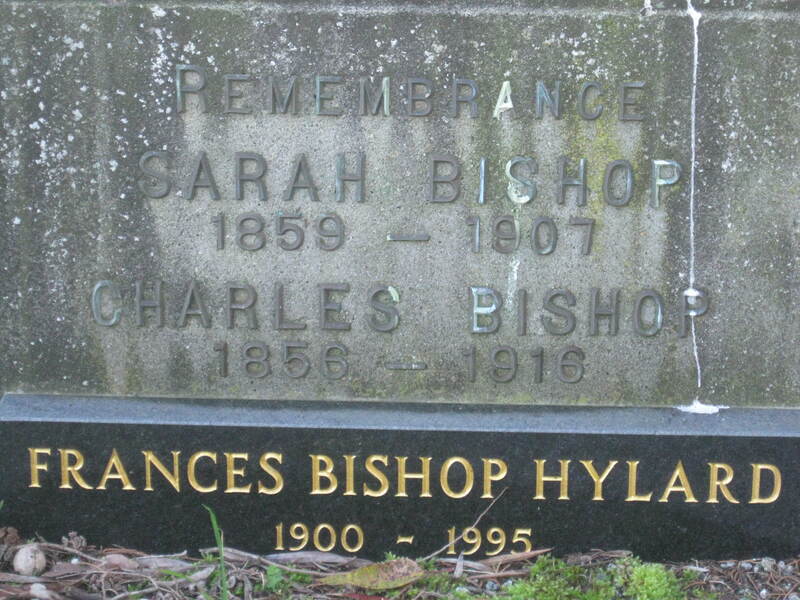 Frances Bishop Hylard was their ninth child, born in 1900. She married Edward Thomas Hylard in 1920. Charles Bishop passed away from a heart attack while loading wood. 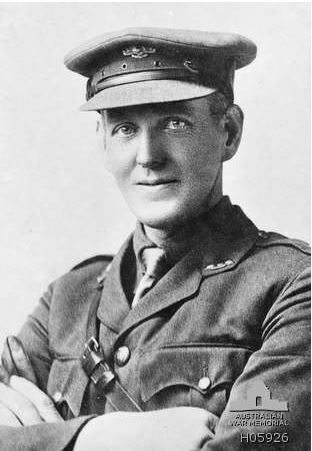 Percy Almond Bishop was the second son of Charles and Sarah Bishop. 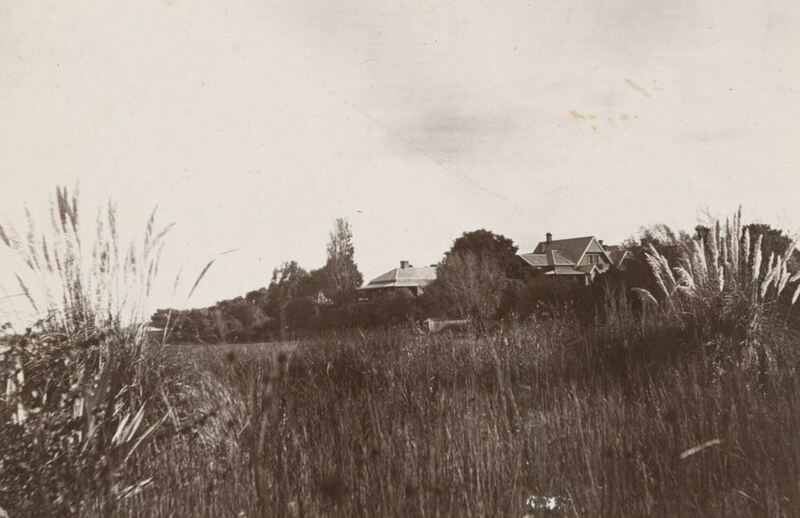 Percy was born in 1888 at Byaduk and enlisted in 1916 at Hamilton and served with the 39th Battalion. He was awarded a Distinguished Conduct Medal and a Military Medal. Percy never married. 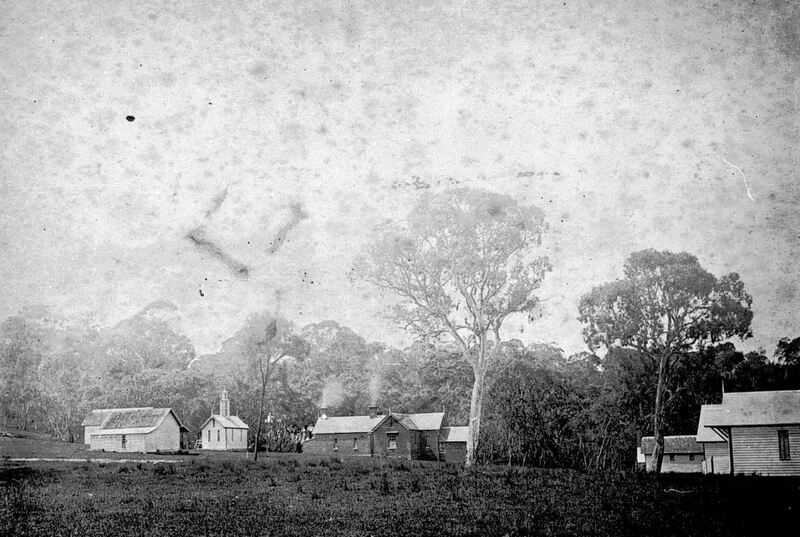 Ian Marr’s website, Cemeteries of S.W. 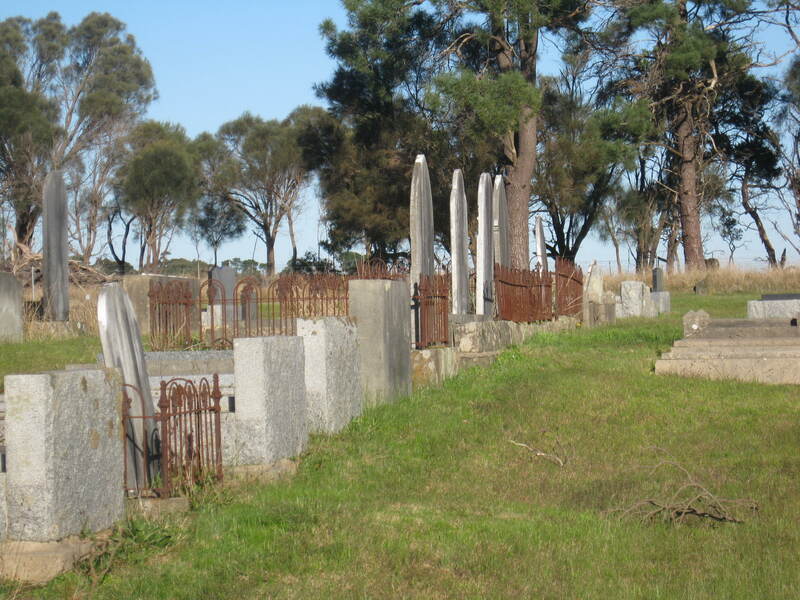 Victoria has a full list of the headstones at the Byaduk Cemetery. 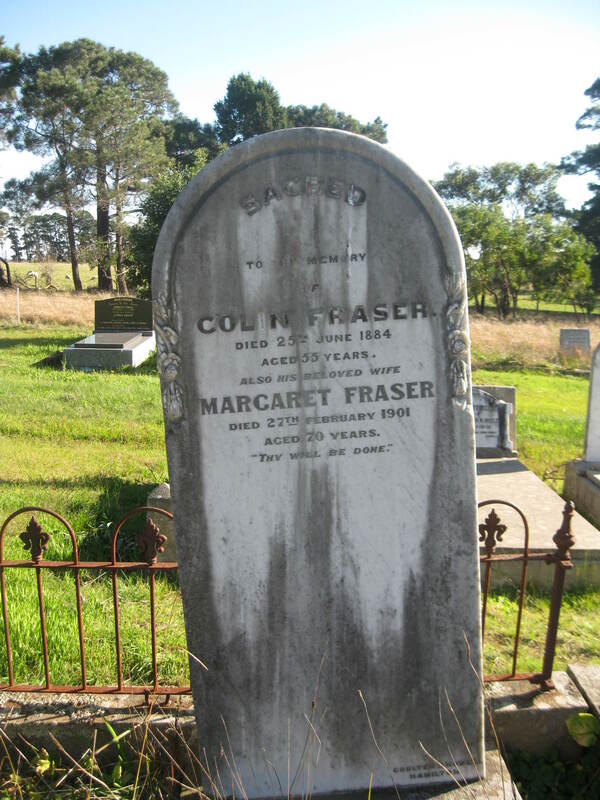 **Thank you to Maria Cameron, President of the Port Fairy Genealogical Society for providing with me additional information on the Fraser family and correcting an oversight I had made on the parentage of Simon Fraser.